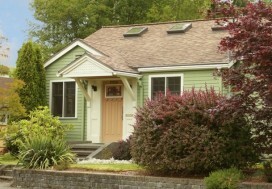 For this buyer, she had made the exciting decision to retire and part of that decision included relocating to Seattle. 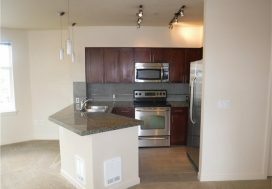 Looking for a small condo in South Lake Union, Downtown or Belltown she booked a flight to come up for a weekend and check out some condos. Before we took her out on a tour of condos we thought it would be best if she had a detailed tour of the several neighborhoods she was interested in moving too. So we coordinated for her to have a chauffeured narrated tourof those areas. It helped her to narrow down the specific location she would concentrate her search on. 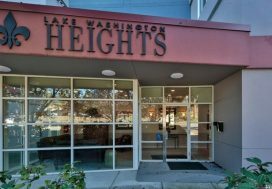 Property tours led her to focus in on 3 different condos. With price as her motivator, we wrote several aggressive offers that ended with Seller’s who wouldn’t budge on their prices. As of 3 months after her closing, those condos are still on the market! This led her to make her 3rd and final offer on a fabulous view condo in the Watermark Tower. After negotiating with the Seller we got the price our client was looking for and that is all it took for her to take the plunge! 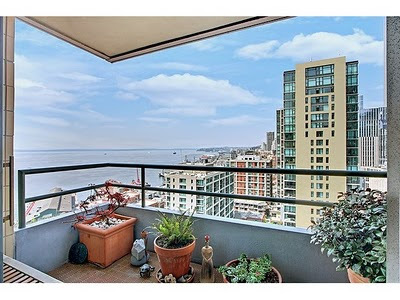 Closing in only 2 weeks, she was happily in her Puget Sound View condo in no time! We are so glad you picked Seattle as your new home! I’m sure we’ll see you at the Market!